Somber, thoughtful, elegiac, Oslo, August 31st asks why life is worth living when it’s been squandered. It’s not as if the main character, Anders (Anders Danielsen Lie), has had the most difficult life. On the contrary, he’s from a well-to-do family and has frittered away his time clubbing and doing drugs. At the age of 34, he’s given a new chance as he’s on the verge of being released from a drug rehabilitation center. Set over the course of one day, Anders leaves the center to go on a job interview and float about the city, visiting old friends and his sister. The first stop is to visit his old party buddy, Thomas (Hans Olav Brenner), who has since followed a straight path, gotten married, had a child and secured an academic position. The two talk about their wild past, and Anders reveals his unhappiness, regrets and deep-seated numbness. It’s a conversation that sends him on a meandering path and to a party with old acquaintances, an ex-girlfriend and a new love interest. Overall, it’s a 24-hour trip that may or may not lead him to accept his lot in life and keep trying. But will the viewer care? Anders seems to come from a caring, upper-middle class family and has had opportunity in life that he’s squandered partying. He may struggle with addiction and depression, but he’s far from cinema’s most sympathetic protagonist. Nonetheless, that’s exactly Joachim Trier’s point. 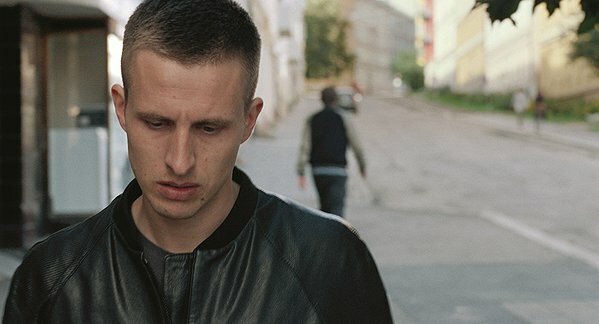 The writer/director believes there are worthwhile stories to be told among the privileged (as exemplified by his first film, Reprise), and Oslo, August 31st is not a story meant to elicit sympathy for the economic straits of its main character as much as for his spiritual straits—his regret, his loneliness, his inability to connect with others. This crisis of spirit is practically palpable as the camera follows Anders around the city. Thin, pale and with sad eyes, he gives the impression of being an apparition. At one point, he sits alone in a coffee shop and listens to bits of conversation around him, merely a fly on the wall. The camera work is elegant and deceptively simple, often imperceptibly dollying forward on intimate moments. Actor Anders Danielsen Lie gives a raw performance, baring a deep sense of melancholy. And though the film provides a gentle wash of dark feelings, one can’t help but feel cleansed by it and more alive when it ends.